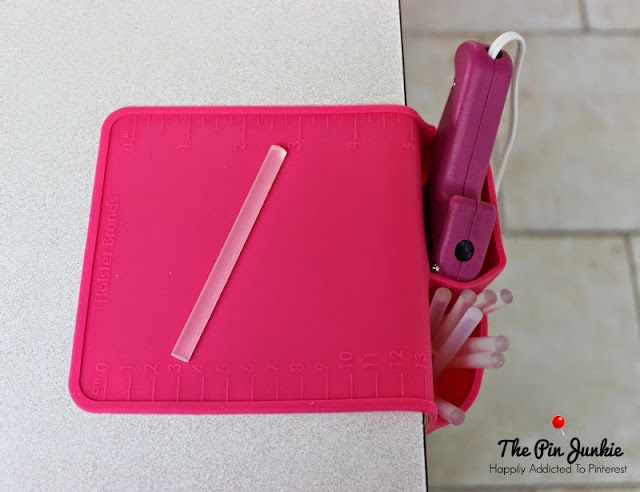 If you're a regular reader of The Pin Junkie, then you already know that I love crafting. I use my glue gun a lot and I hate the way it always falls over when I set it down. This Hobby Holster is a great solution. It's made of heavy duty silicone that clings to all kinds of surfaces, it holds a glue gun and extra glue sticks, it hangs off the side of my work area to keep my crafting space clutter free, and best of all it keeps my glue gun exactly where I want it! I wish a I had a beautiful craft space like the ones I've seen on Pinterest. Instead, most of my crafting happens at the kitchen table or at the kitchen counter. The Hobby Holster clings securely to my wooden kitchen table with no problem! The secret to the Hobby Holster's incredible grip is the smooth surface on the back. It will cling to all kinds of surfaces that are smooth and non-porous. Since it just clings, it's super simple to move to a new location. It clings to my kitchen counter really well too! I love that I can set craft supplies that tend to roll away like glue sticks and beads on the Hobby Holster and they stay in place. There's also a handy measuring guide along the side too. 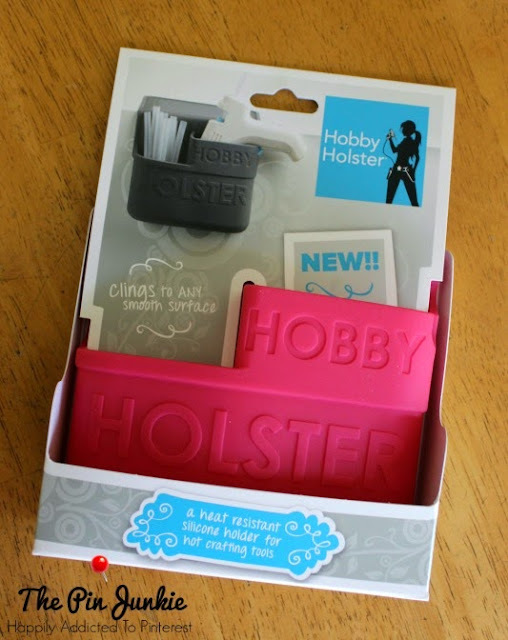 Don't worry if the Hobby Holster gets glue on it because the glue easily peels off once it has cooled. 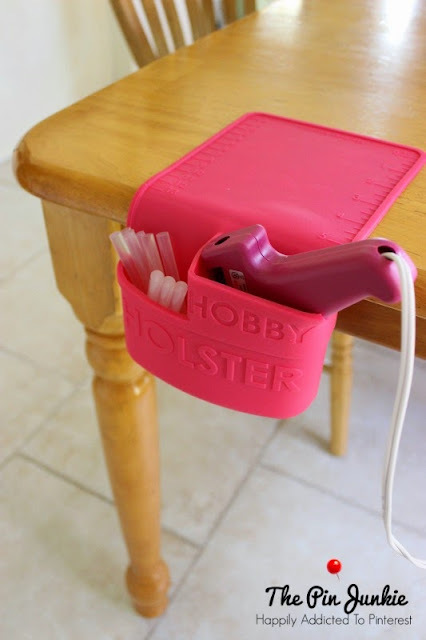 The Hobby Holster is heat resistant so it's perfect for glue guns, but Holster Brands also makes Holsters for hair styling tools like flat irons. 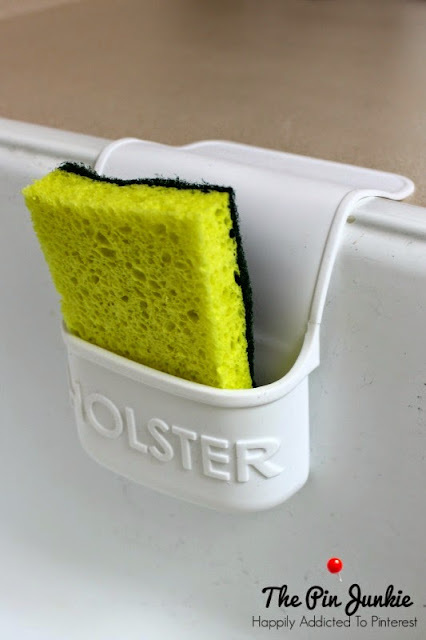 They even have Holsters for the kitchen like this handy sponge holder. Aren't these the coolest? I love anything that helps me stay organized. I've been going through the house to see what else these Holsters will stick to and other ways I can use them. 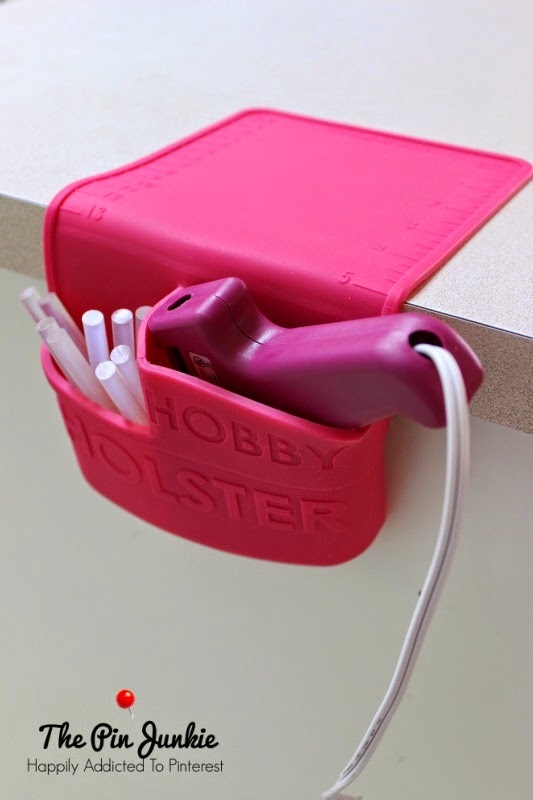 I love the glue gun holder and I'm so happy that Holster Brands gave me the chance to try it out. If you'd like more information about Holster Brands and all the neat Holsters they have, visit Holster Brands.com online. Yes they are! I really like my Hobby Holster and have been finding new ways to use my other Holsters. It's pretty neat how well they cling and all the different things they stick to.